I got this kabuki brush for $9, normally $36! And it's purple, how fun! I thought this would be a good opportunity to try a UD pigment. I already owned the other colors in pan form that were being offered, so I went with this pink one. Normally $20, bought for $5. Normally $17, bought for $4.25. 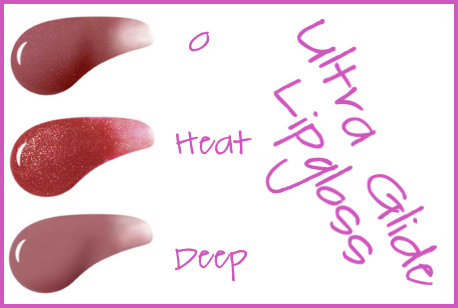 I have never tried UD's glosses, only the one that plumps lips. Looking forward to trying them! Sorry to not have posted yesterday. I was out for the day! I know this is an old post to leave a comment in, but Hautelook is having another Urban Decay sale, and I wanted to ask, how you liked the lipglosses? Girl, I know! I went in there and decided it was best not to do any damage this time. The glosses are a really nice consistency and pigmented. The swatches that are provided are nothing like the true colors though, if you ask me. Asphyxia, Heat, Deep, and O. So if you look at the Hautelook swatches, they aren't that similar. They are really pretty though!